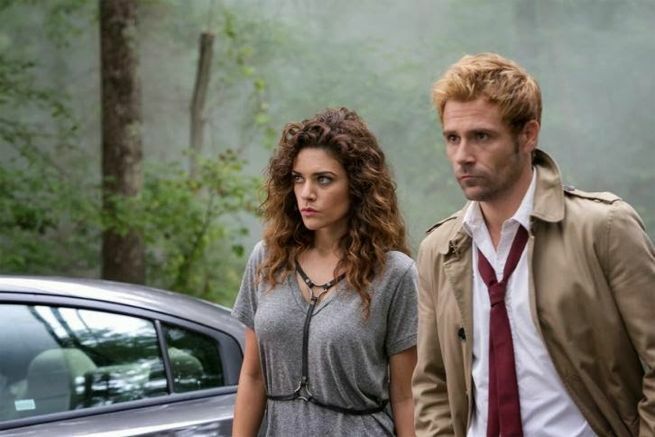 Tonight's episode of NBC's Constantine, titled "Danse Vaudou," was an exciting one...so much so that the Easter eggs column will be a little tough. Not because there wasn't anything to remark upon, mind you, but because there were a few things so exciting that we had to give them their own articles so we could talk about them as they happened. So...bear with us, let us know what we missed...and if anyone can identify that watch-thing that Constantine and Chas were using, please do let us know what it was. We already talked about Jim at some length. 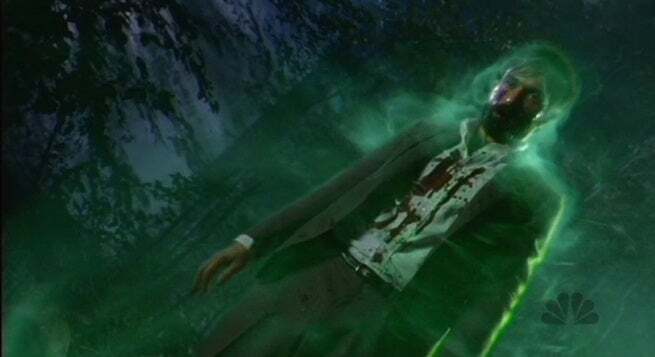 The man who would be The Spectre, the character was created by Superman co-creator Jerry Siegel and for years was God's avenging spirit in the DC Universe. You can read more about him here, and an interview with actor Emmett J. Scanlan here. Following years of lawsuits between the families of Jerry Siegel and Joe Shuster, it's perhaps not surprising that while most characters get a general "based on the DC Comics characters" credit on the series, Siegel gets a "created by" credit for Corrigan/The Spectre. Hats off to Peter David for noticing. Interesting. #CONSTANTINE has the usual "Based on DC Comics" credit except for the Specter who is credited to Jerry Siegel. We got a lot of hints to Zed's backstory this issue, and while we don't know exactly what the deal is on TV or whether we'll get to see it play out, she's the runaway, wayward daughter of an Evangelical family. 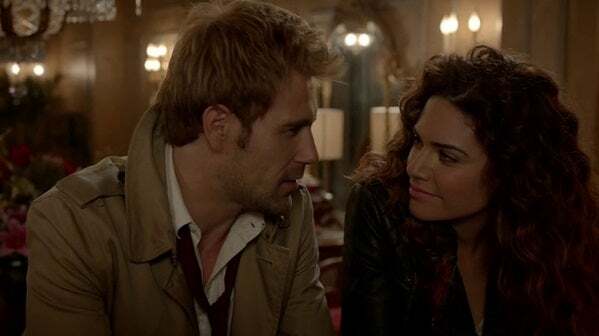 Like in the show, she's evasive when Constantine tries to get her story. 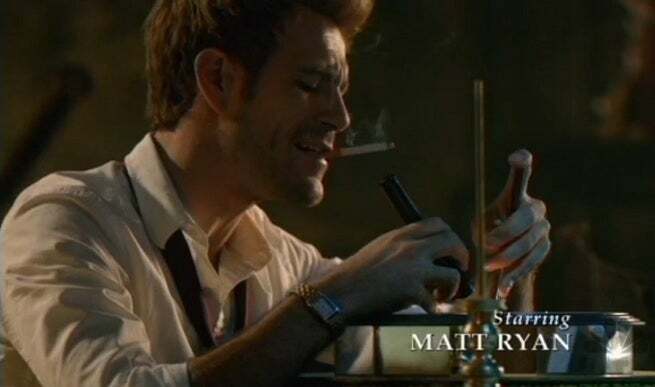 John Constantine smoked. This is a bigger deal than it sounds.